The Carnelian, -also a variety of chalcedony- is attributed with physical power and courage properties. 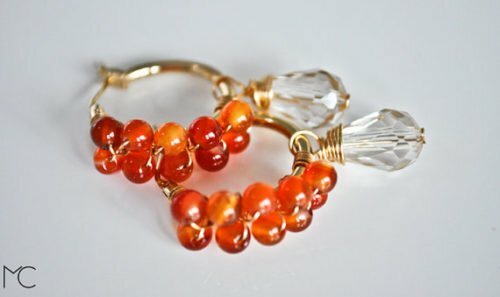 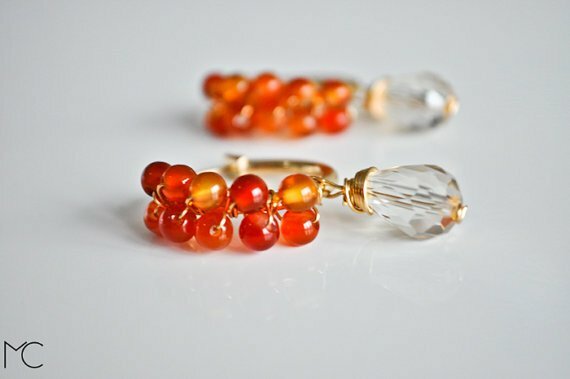 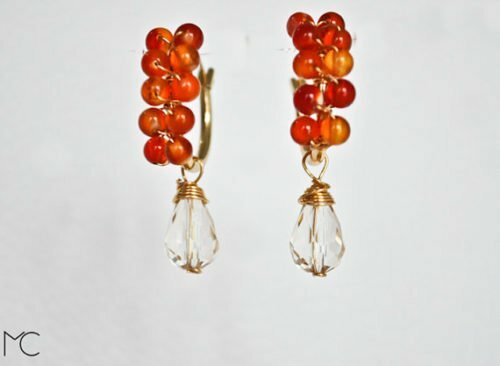 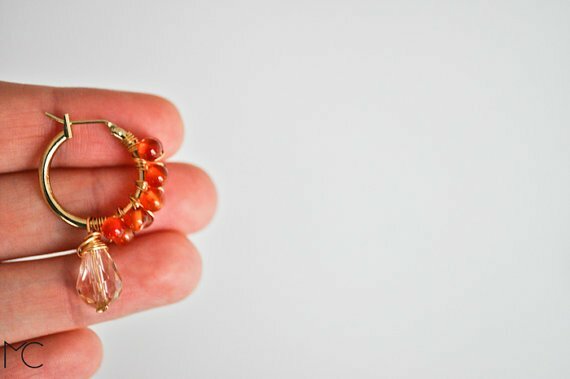 These colorful and unique earrings are wire wrapped with carnelian, around a gold filled earring hoop; hanging in the end, a faceted transparent crystal drop. Their total measurement is of 4 cm long (1.6″ in) and they will be delivered gift wrapped. 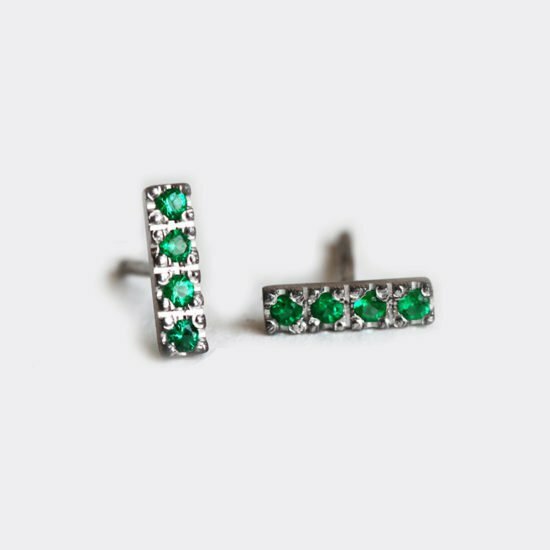 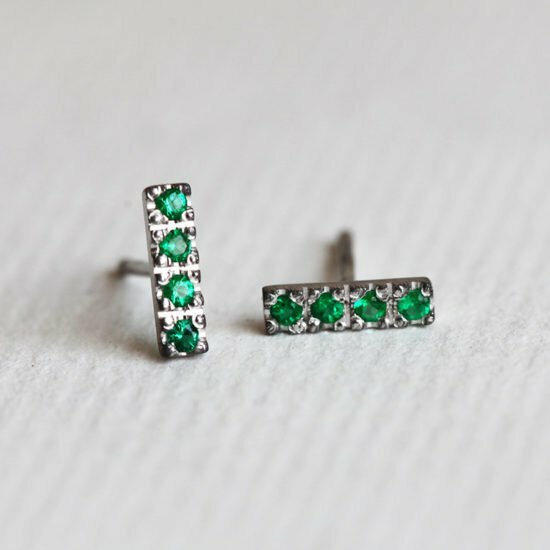 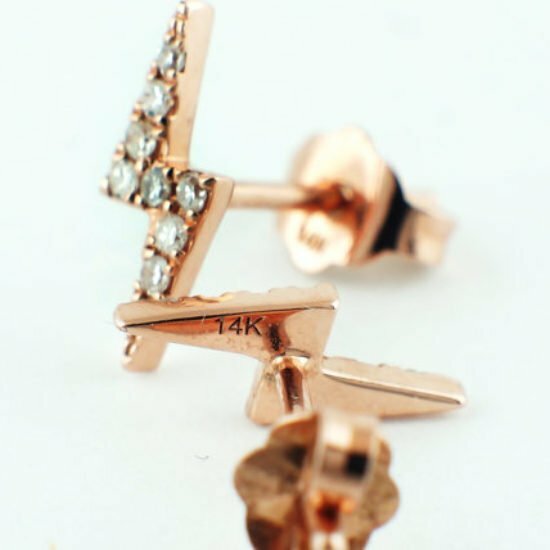 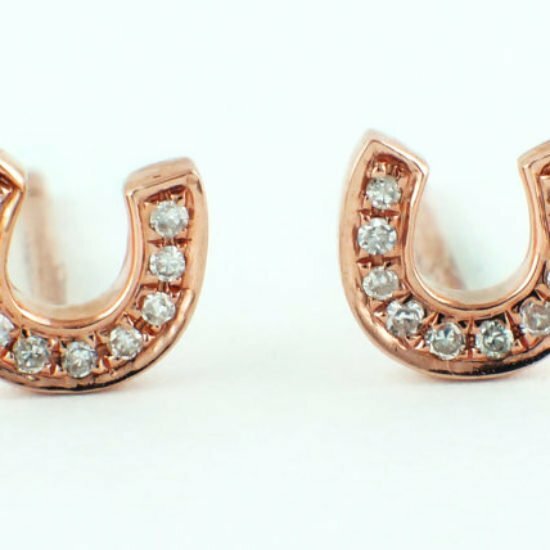 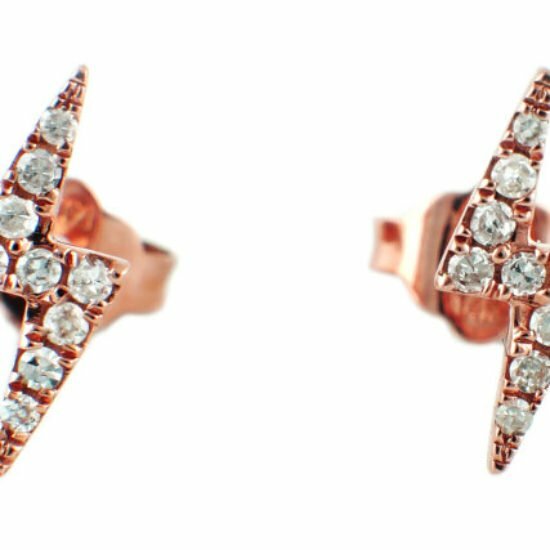 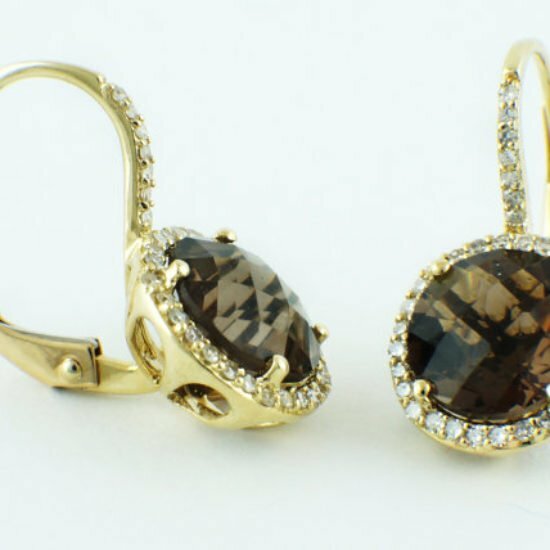 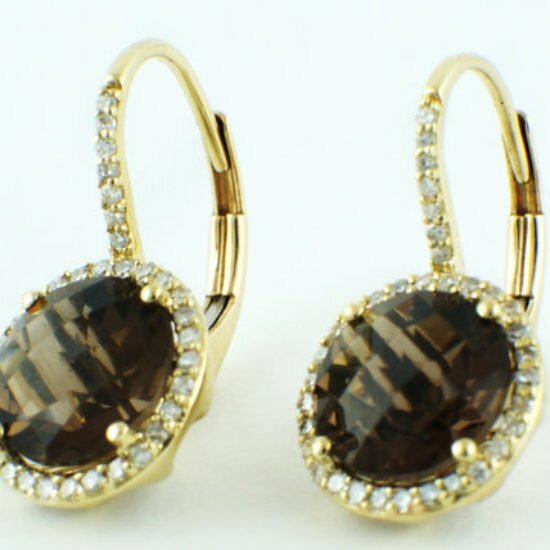 These earrings may contain nickel. 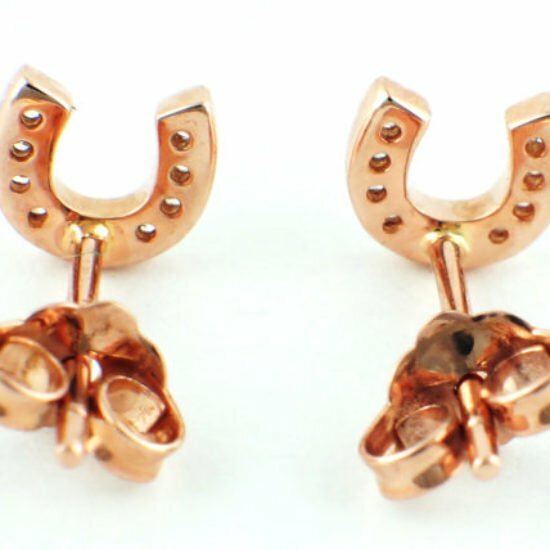 Thank you for visiting Maria Corcuera jewelry + design!